The daughter of a couple who disappeared in the Swiss Alps more than 70 years ago has said the discovery of two bodies emerging from a melting glacier has brought her a "deep sense of calm" after so long without an answer. Marceline Udry-Dumoulin, now 79, told the Le Matin newspaper of Lausanne, Switzerland, that she and her siblings "spent our whole lives looking for them, without stopping. We thought that we could give them the funeral they deserved one day." Udry-Dumoulin is the youngest of seven children born to Marcelin and Francine Dumoulin. The couple went to milk their cows on a meadow above their home in Switzerland's Valais canton on August 15, 1942, according to the Reuters news agency, and never came home. Local rescue teams had spent more than two months searching crevasses before giving up, The Associated Press reports. The regional police force told local media the bodies were discovered last week, near a ski lift on the Tsanfleuron glacier, by a worker for an adventure resort company. "The bodies were lying near each other. 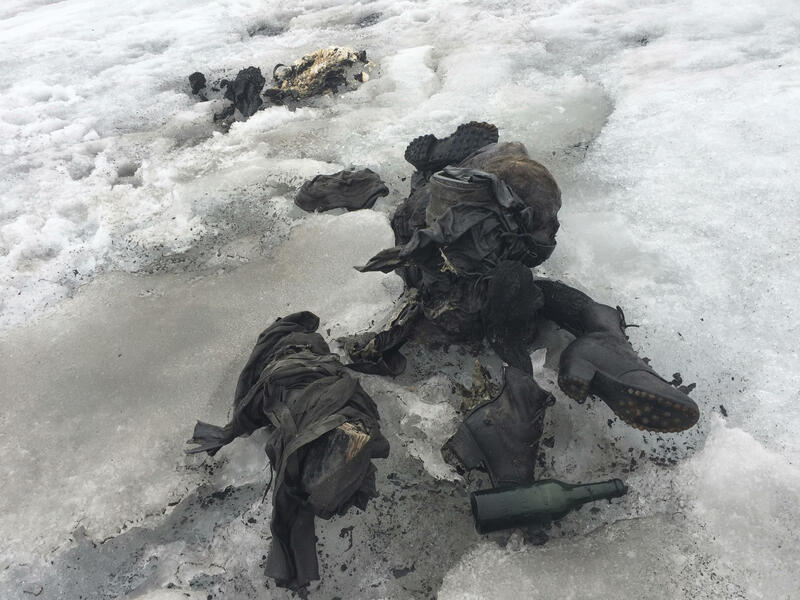 It was a man and a woman wearing clothing dating from the period of World War Two," Glacier 3000 director Bernhard Tschannen told local media, according to Reuters. "They were perfectly preserved in the glacier and their belongings were intact." Tschannen told the Tribune de Geneve that his staff believed the couple likely fell into a crevasse, "where they stayed for decades. As the glacier receded, it gave up their bodies." "It was the first time my mother went with him on such an excursion, "Udry-Dumoulin told Le Matin. "She was always pregnant and couldn't climb in the difficult conditions of a glacier." "For the funeral, I won't wear black. I think that white would be more appropriate. It represents hope, which I never lost."